Lemonade is a food item that can be drunk. Lemonade can be crafted using a bottle of water, sugar, and lemon. It has a shapeless recipe. 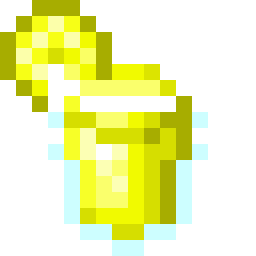 The player can drink lemonade by shift-clicking while holding it in their hand. It heals 2.5 hunger points. After use it returns an empty bottle, like potions. There are currently no known bugs with lemonade.